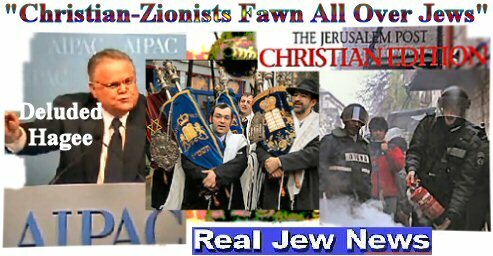 Judaism Articles, Judaism Is An Anti-Christ Religion!, Christians NOT Jews Are God's Chosen People!, Jews Are NOT The "Chosen People"
Jesus Christ called Jewish worship the “Synagogue of Satan.” Indeed it is! For Christ said to the Jews, “Your house is left unto you desolate.” And when a house is “swept clean,” as Christ warned, “seven demons worse than the first enter in!” (Matthew 12, 23). JUDAISM HAS LOST ITS PREISTHOOD FOREVER! WE CHRISTIANS SHOULD MOCK the Jews. For Judaism has lost its priesthood forever. According to the historian Josephus, Herod Antipas destroyed the genealogies of the Aaronic priesthood in 36 AD. The Old Testament, by which Judaism is conferred validity, states that in order for the Jews to have forgiveness from God, they must go to the high priest who offers an atoning sacrifice on their behalf. (Leviticus 16). But Christ put an end to the stinking animal sacrifices. This was predicted by King David when he wrote of the coming Messiah, “The Lord said unto my Lord, Thou art a priest forever after the order of Melchizedek.” (Psalm 110). St Paul referred to this prophecy when he wrote, “Jesus was made a High Priest forever after the order of Melchizedek. He brought in the New Testament causing the Old Testament to vanish away.” (Hebrews 6, 8). Thus Christianity with the Lord Jesus Christ as its High Priest usurps Judaism. And now Judaism is nothing but a sham, bankrupt, Anti-Christ religion. There is nothing “special” about the Jews at all. The Jews are the most neurotic people walking the face of the earth today. That’s why many Jews become psychiatrists so they can try to figure out why they themselves are so screwed up. And the *only* plan that God has for the Jews is the same plan that He has always had for them since the coming of Jesus Christ. And what’s that? That the Jews give up their idol worship of themselves and become Christians! You believe in absolutes. That is why your belief is false. Now - PROVE your assertion that my belief is false using some “absolutes.” I dare you. For you must be a Jew and cannot give any good reasons for any of your accusations. Christ’s message was pure and simple. It had to be simple to reach ALL mankind. His message was that the way to God was to love ALL His creations. That meant that we must love ALL men. Jews are His creation too, so are Muslims and non-believers. I myself cannot understand that for every passage in the NT there will be another that seems to contradict the first. Did not Christ say that one had to hate their mother and father to get to Heaven? This surely goes against the grain….Christ’s message was unconditional love for ALL of God’s creations. If you must be dogmatic then DO WHAT CHRIST SAID!!!!! He also stated that we are NOT to judge, GOD ALONE judges! If you believe in the written word of the NT and nothing else suffices, then follow it to the letter. I by the way am Catholic and after many years of soul searching and much, much reading have come to the conclusion that Christ’s teaching were exactly intended to convey precisely what God wants us to do. It’s so easy “Love one another” that was the greatest act we can all do to get to Heaven. This is far more positive than all the vitriol that seems to eminate from your website. Sure Jews have many hidden agendas, but do as Christ says, end of story. Christ was a Jew and I’m sure he knew that he became flesh amongst the worst people on earth to make his point, but again I reiterate that He told us to love one another. If my interpretation of God’s most important commandment is wrong or without merit tell me what is! BTW in Revelations the city of Babylon sits on seven hills, it has prospered on the blood of Saints…. sounds a mite too much like Rome more that Jerusalem. Love without TRUTH and REPROOFS as the Bible teaches is a lie. I really like how you stand firm for Jesus Christ in front of these people that believe in anything except Jesus Christ or try to question your firm belief and the truth of it. The time will come when we will all find out and I mean everyone when we die and at the final judgement day. The ecumenist way of thinking as I think I know it is that no religion is the truth, all are the truth like in a big boiling pot. Well, this idea belongs in the melting pot of ideas and has no place in Orthodox Christianity. How far will the apostacy of humanity/society from christianity as a whole go (not only from Orthodox Christianity) before the end of time? Will Christ find any faith on the planet when he returns, because the deceiver would want to eliminate Christianity but that will not happen, not even with the Anti-christ. Christians will remain till the last days and will even confront the Anti-christ himself. The last days will be shortened to save the believers of those last days during anti-christ rule (3.5 years). It’s very interesting how things are taking shape in our day & age that we live in. The wolds problems only seem to grow more and more. The destruction will come from ther educated people. We need Orthodox Christianity taught in school, like Mr Putin is doing in Russia. Has America become a Wandering Jew of late? Has it abondoned it’s general Christian heritage? The Orthodox countries have united once again, particularly RUSSIA, SERBIA, GREECE. Although I am of Greek heritage, I admire greatly the firm stand against the Zionist that want to dilute and then eliminate if that were possible Orthodox Christianity in RUSSIA. They are at work in many ways and with many instruments at their disposal, these zionists, but they will be in vain. Like the future war in Constantinople that will take place when the Turks attack Greece, that is when the RUSSIANS will free Constantinople one again. The cause of WWIII will be from Dalmatia. Is it KOSOVO? The Turks will be encouraged by the Zionist rulers and there (the puppeteers) and their lackey’s. They tried to destroy Serbia but have strengthened that country towards Orthodoxy even more, and more closely allied to RUSSIA and GREECE. THe Orthodox countries and peoples will once again be close friends again after the dreadful days of communism. That didn’t stop the RUSSIAN people, did it, in following Jesus Christ as their Saviour? Orthodoxy has been enshrined in their constitution as I’ve heard by President Putin before he left office for parliament. We all need tpo write a letter of support to the RUSSIANS for standing up to imposters. Constantinople will be handed over to GREECE and the RUSSIANS will fight to win it one Turkey makes that move to attack GREECE sometime in the future. We know the Anti-christ and his workers will not succeed and are wasting their time in vain. I would like to know what your understanding of “the times of the gentiles” is. All I know is that all Zionism Jews are funny, they don’t realize that they’re the ones who will go to Hell, and they spread lies to make us think the others are the badguys, but it is truly them. They killed Christ now God will get revenged on them by using other nations to punish them, like what Nazi Germany did. The jewish religion is a Godless, self-centered, racist and hate-filled religion. There are three lots of “Chosen People” listed in the Bible. The Angels, The Jews, and the Christians. But God said He would save all the Jews in the end time. Do we just tear that out of the Bible and say it isn’t there. I am horrified what the American/media and power money Jews are doing to America. But the real Jews God said In the End Time, “They will see and repent for what they have done in crucifying the Lord Jesus”. I can understand the confusion in peoples hearts about the Jews, but want the truth no matter what man says. We need a person to speak up, who just wants the truth of the Word and are not biased one way or another about the Jews. Brother Nat could you please give some reasons why Jesus cannot be the Jewish Messiah? The Lord Jesus Christ IS the Messiah for BOTH Jews and Gentiles. Christians don’t talk about the ANTICHRIST anymore. The Antichrist will be the most EVIL leader in history of mankind and his minions will use extreme deception to wage war on the true semites. The Antichrist will rebuild the 3rd Jewish Temple in Jerusalem. Christians dont talk about the Antichrist nowadays because if they did they would realize that they are on the wrong side. The Jewish False Messiah will rise as the ruler of Israel and he will wage all out war on ISLAM, the final Abrahamic Covenant through the first born son of Abraham. Muslims await the return of Jesus. Jesus will return and kill the Jewish False Messiah. I’m shocked that Br Nathanael hasn’t been assassinated by the MOSSAD — he tells the truth without fear. As a 1/2 Jew — I am a Samaritian to the full blood Jews — because I am low income, and everyone knows THERE ARE NO POOR JEWS !! Israel has indeed occupied the American government. All these wars are for the benefit of Israel, with Israel driving the poor donkeys & elephants on into battle. Poor warped, brainwashed American youth who come home and commit suicide after doing their Anti-christ duty for Israel. Thanks for all of the informations. I truly believed that the real WMD is the Jews. From now on I should be more careful with my Jew friends. Do we still have the real Scripture of the New Testament? Friend, Judaism is more than a religion it is a way of life. We don’t just go on Sundays to synagogue and that’s what makes us Jewish. We have 613 commandments that we must keep that affect our day to day behavior. To James5, you are very wrong. There are many un-wealthy Jews, just because your Jewish does not mean you’re rich! To all Christians, learn where you came from!!! Judaism was too hard for you so you started your own religion!! Learn more about it and you’ll see it’s the truth!! Will Obama’s nihilistic Anti-Christ Goddess religion cause Israel’s extinction? You make a common mistake of equating Jews with Israel. The Jews are not the promised people but impostors. Gen 49 Jacob tells “what shall befall Israel in the last days”. Of Judah/Jews he says ” the scepter will not depart from Judah till Shiloh comes” on a foal of a colt. Christ did that and they had their “end times” AD 70. The Law, the sacrifices, the temple and the earthly city have expired. Believers are of Heavenly Jerusalem — Gal 4.26 and Heb 12.22. Christ judged the Jews to have mercy on all — Rom 11.32. I have a question I was hoping you could answer, about the Mormon faith and its mysterious origin. Let me begin my curious story, I am not a Mormon. I was raised as a Christian into a Christian household. I went to Catholic elementary school and my parents are both Assyrian. I came across some Mormon missionaries while I was on vacation in Armenia during the summer. Although, I have heard of them and their name and I’ve seen the outside of their building where they worship. I really didn’t know anything else about them for that matter. While staying in Yerevan, I happened to bump into two groups of two Mormon missionaries. I spotted them easily from the local populace, their Western European features was a give off. Feeling a tad homesick and yearning to speak English, I introduced myself and struck up a conversation. To my revelation, they were Americans. They were very amicable people and I enjoyed their company and our brief talk we shared. I already knew the reason why they were there. To evangelise people into their church and bring Christianity back, after the long bitter shadow of communism had disappeared. They gave me a copy of their bible to keep. On the cover read “The Book of Mormon, Another Testament of Jesus Christ.” After reading some pages I was dumbfounded at the historical authenticity the book claimed. A print of the Mormon witnesses caught my eye, especially the origin of the name(s); Hiram Page and Hyrum Smith. 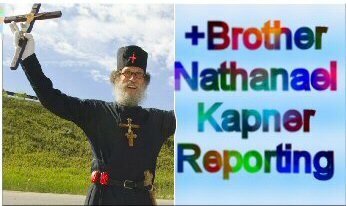 My question I would like to ask you, Brother Nathaniel, is the Book of Mormon another perverted Jewish conspiracy? Mainly, to confuse and divide us Christians, even more apart? Thank you for the truth you share. It helps get we “lost” back on the path of righteousness. Brother Nathanael I say to you this. When I read your words or watch your videos my spirit shines ever brightly and I thank God for you. I can see that where you live is filled with beauty as much as there is beauty within you. God says that there are good and bad people to be found amongst all nations and that the holy hour approaches where the great light shall purge the Earth and mankind shall be purified. My heart has cried every day walking amongst the people of this world. There is a secret order which works towards probing the Jews, Muslims and Christians to destroy each other. It is orchestrated that God’s name shall no longer be heard upon the land - Beware the remnants of Babylon and the Chaldeans for they are behind the veil which has infiltrated the highest places and infested them with time bombs — I say unto you the Antichrist plots to turn man against his brother til man exists no more. 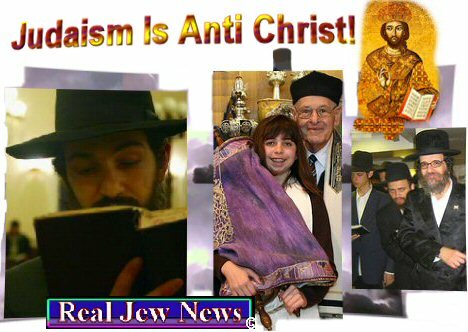 True Judaism of the OT is not Anti-Christ, they were mislead by Satanic Jews that mislead them. Anyone who has truly studied the OT and believed in Holy Moses would clearly know who Jesus Christ was and many did. But that Satan is one smart cunning cookie at leading people astray and because of the Stain of Original Sin is on all of us, that gives the power into the hands of Satan to become his slave, but for the Holy Spirit who knows this cunning, not to mention how to deal with it. Throughout periodic ramblings through the BIBLE, things have a way of popping out at me. They’ll even stick in my cheesy memory. After an argument w a local minister, I went looking for passages that would bolster my own side of the argument. My contention was that Christians are directed to avoid involvement in ANY worldly goings on. I found 24 clear cut, straight forward, to the point passages, in the NEW TESTAMENT that very clearly support my contention. However, during my search, one passage caught my eye. I have believed that the star of “David” is Satanic in nature. We know that the Jews were sent into Babylonian slavery, as a punishment for the worship of idols and pagan gods. The passage that I found named one of the gods: Nephan. It also mentioned Nephan’s star. I firmly believe that the star being used on Isreal’s flag is the star of Nephan.